discover who talks to your TARGET MARKET. Discover authentic Instagram accounts who talk to and truly engage your target market. No paid followers. No paid likes. Just Truth. 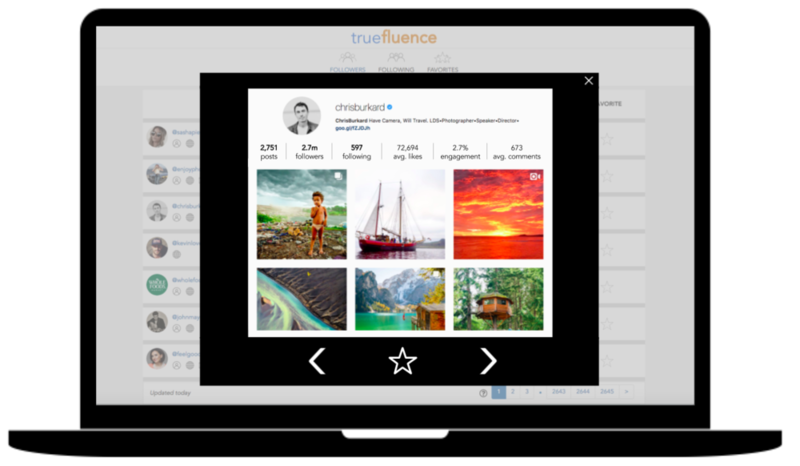 Create a Truefluence account using your instagram account. Authorize Truefluence to access your instagram account. Discover authentic accounts who talk to your target market. Learn which ones engage your target market the best. Star your favorite accounts. Learn about what they're talking about and how to get them talking to your target market. We run through millions of data points, looking for things like follower overlap, authenticity, and brand alignment. Partnering with the correct accounts - ones who truly connect with your target audience - will boost your conversions. Stop scouring instagram looking for partners. Sit back and let the prospects come to you! Stop manually pulling data. 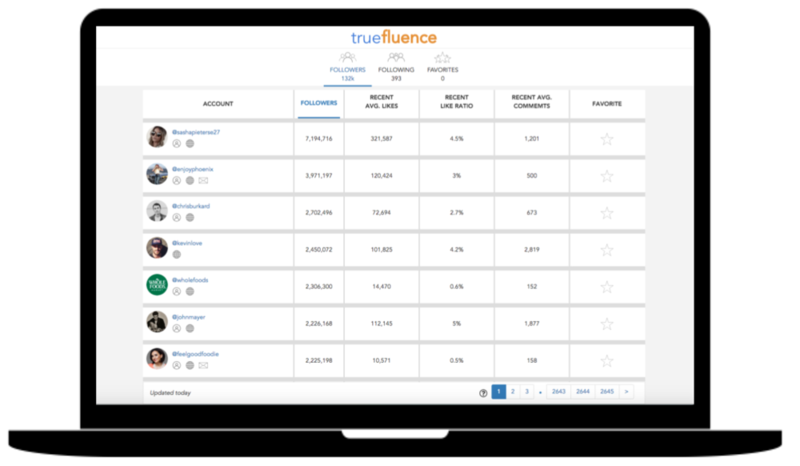 With Truefluence, all information is housed in one location. Easily see every photo posted by your favorite accounts. Move through and assess them quickly. Filter the data based on follower count, average likes, engagement rate, average comments, and more!